Department of Chemistry student resources. 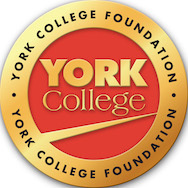 The Department of Chemistry at York College is dedicated to helping students build a sound foundation in the theoretical and experimental principles of chemistry. Whether the students taking our courses are interested in careers in chemistry or taking classes to expanding their knowledge of chemistry, we strive to provide resources to aid students in completing their courses.